Among its secrets is a cache of vintage clothing, including a spectacular gown--perfect for a gala masquerade in Boston. In the guise of a princess, Phoebe is captivated by a handsome swashbuckler who's also adopted a more daring persona. Noah Kendrick's wealth has made him wary, especially of women: everybody wants something. 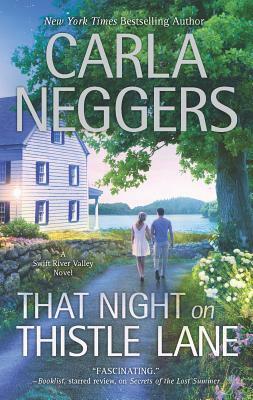 Carla Neggers is the New York Times bestselling author of more than 60 novels, novellas and short stories. Her work has been translated into 24 languages and sold in more than 30 countries.She is a popular speaker around the country as well as a founding member of the New England Chapter of RWA, past president of Novelists, Inc., and past vice president of International Thriller Writers. She and her husband live in a house on a hilltop not far from picturesque Quechee Gorge."